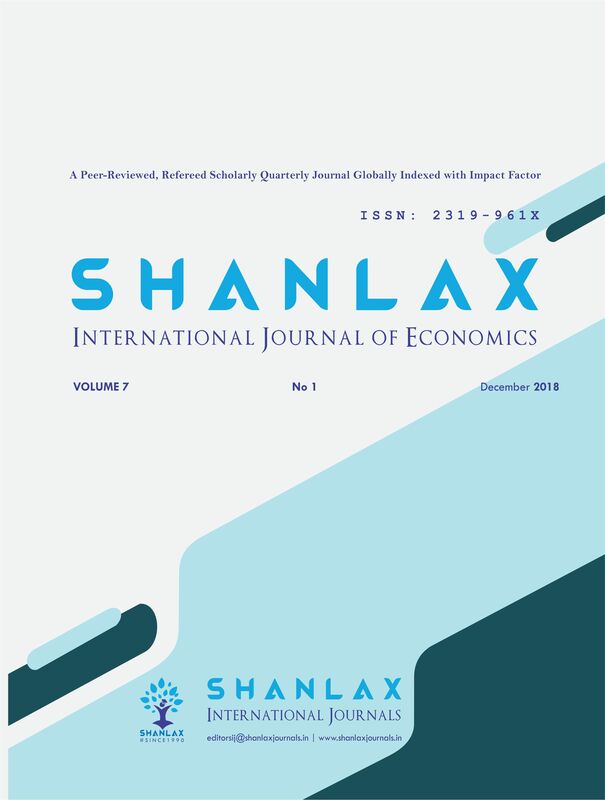 Shanlax expresses its immense sense of gratitude to NAAS (National Academy of Agricultural Sciences) for the selection of our “Shanlax International Journal of Economics” in its ‘List of Journals 2019’ and allots NAAS Score 2.82 in the second consecutive year. It has entered the seventh year of publication owing to the vast support of readers, contributors and all those who made Shanlax a reality and sustained it during the crucial early period. Good number of articles from various region published in this issue is an encouraging factor, and it makes us more sincere, and we assure the quality of the articles published in future.